This was a total cover grab. All I knew was that it was a YA historical fantasy and that it was pretty. I've never read this author before; but after reading the synopsis, I think it sounds like something both Mckenzie and I could enjoy! 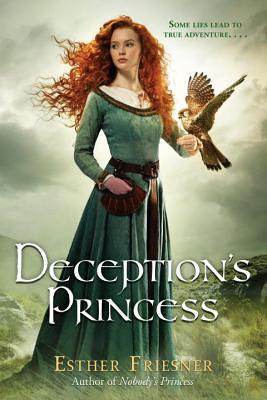 Have you read Deception's Princess? What are your thoughts? Did you grab this on Book Outlet? Cause thats where I grabbed this one lol. I grabbed this too simply because of the cover and because she reminded me of Merida lol. Future buddy read? I've never seen Deception's Princess before. It does have a stunning cover. Fingers crossed that the book will be just as good as the cover. New to me, but I can see why it caught your eye. This does have a nice cover, and it sounds great too. First century Ireland, and for readers of Shannon Hale. I've enjoyed a few of Hale's books and I like what she writes for kids too. Looks good! Wow. That cover looks amazing and reminds me of the disney character from the movie "Brave"
I've read this book, back in 2014! I didn't like it at all, LOL. I think I just didn't care. Oh well! Oh, oh, oh!!!!! What an INCREDIBLY AWESOME pick!!! Yes, I WANT this book!!! And you have this sitting on your shelves? Well, do try to get to it as soon as you can, so I can read another GREAT review from you!! I know you're a busy reader, so just get to it when you can, no worries! I really like that cover, too!! 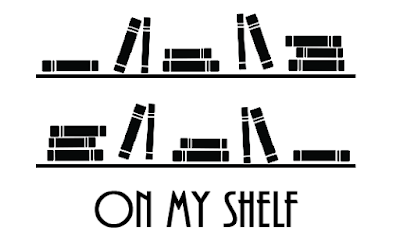 Oh, I really wish I could see your bookshelves!!! It would be WONDERFUL if you would publish pics here on this blog, sometime in the near future!